To be able to get the most from your website you must understand what is going on with it. Website Analytics will tell you everything that you need to know about your website traffic, traffic sources, visitor and other statistics. 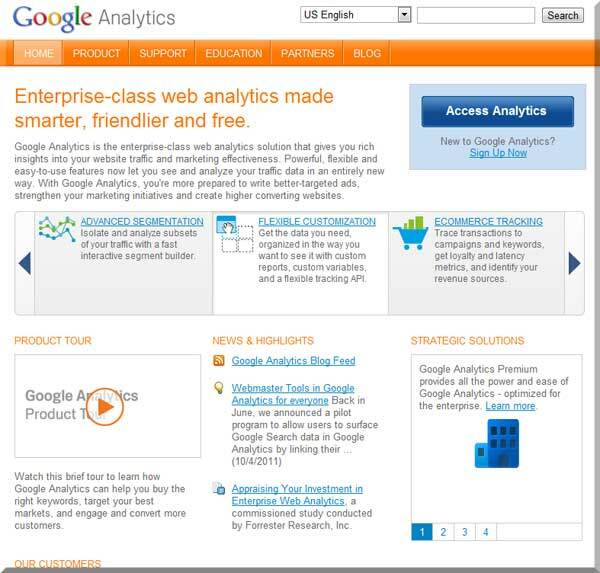 Have us set up your Google Analytics account for your website and you will be able to make informed decisions. Find out what to do and what not to do with your website and with your online advertising and promotions. Make better marketing decisions and create higher converting websites. Benefits: Know and understand what your website is doing for you and where your visitors are coming from. You will receive an in depth and very detailed report once a week.